JUST days before the findings from Northern Ireland's child fluid death inquiry are due to be published, one of the bereaved families has called for all hospital deaths to be independently scrutinised in the future. Nine-year-old Claire Roberts died in 1996 at the Royal Victoria Hospital for Sick Children in Belfast and is one of the five child deaths between 1995 and 2003 investigated by the Hyponatraemia Inquiry. Its report will be published on Wednesday. The children all died from hyponatraemia related conditions. These can occur when the level of sodium in the blood becomes abnormally low as a result of the accidential intravenous adminstration of too much fluid. This issue of fluid management is central to all the cases but the inquiry was also tasked with investigating why some of the deaths were not referred to the coroner. Claire was prescribed intravenous fluids after being admitted to hospital following vomiting and drowsiness. Two days later, she suffered a respiratory arrest and never recovered. 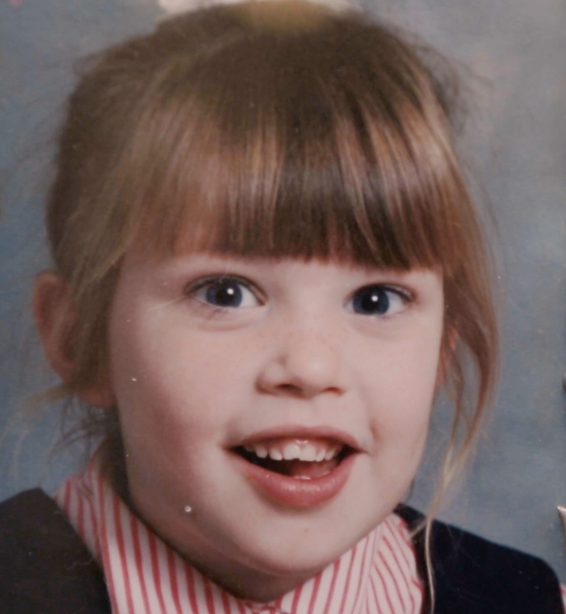 However, Claire's case was not referred to the coroner immediately after her death and an official investigation was only carried out ten years later. Claire's father Alan believes the inclusion of Claire's case in the inquiry is vital to correcting past mistakes. He said: "When Claire's case did go to inquest we believe it failed to identify an accurate and correct cause of death. "We currently have two medical certificates of cause of death that are in our view totally inaccurate". WHEN SHOULD CASES BE REFERRED TO THE CORONER? A death in a hospital should be reported to the coroner if it is as a result of negligence or if the cause is unknown. Under the current system in Northern Ireland, doctors involved in the treatment of their patients will make the decision about whether or not a case should be referred to the coroner. There have been a number of previous reviews and inquiries which have highlighted the need for this system to be reformed. In January 2000 Dr Harold Shipman was handed 15 life sentences for murders committed by administering fatal doses of diamorphine to his patients. The GP is thought to have killed as many as 250 patients in England over 23 years. He was able to sign certificates giving a false cause of death without referring any deaths to the coroner and without any questions being asked. In the aftermath of Shipman, a public inquiry by Dame Janet Smith and a review chaired by Mr Tom Luce both advocated for major change in the death certification system. One of the main recommendations was that there should be scrutiny by a medical examiner of all deaths that are not referred to a coroner. Speaking to The Detail, Claire's father Alan said: “Obviously Dr Shipman is the pinnacle of medical concealment and medical cover up. The UK Government has committed to introducing a medical examiners system in England by April 2019. This means that all deaths not referred to the coroner will be subject to further independent scrutiny in the future. In Northern Ireland, health trusts have an internal scheme known as the Regional Mortality & Morbidity Review system which monitors all deaths that occur in hospitals here. It is understood the Hyponatraemia Inquiry report will address a number of issues around the need for death certification reform as well as whether or not there should be a statutory duty of candour in Northern Ireland. This would put a legal duty on doctors to be open and honest with patients about incidents that have caused or have the potential to result in significant harm. As well as Claire Roberts, the inquiry examined the deaths of nine-year-old Raychel Ferguson and four-year-old Adam Strain. It also investigated the events following the death of Lucy Crawford, aged 17 months, and issues around the death of 15-year-old Conor Mitchell. Click here to see The Detail’s timeline of events related to the inquiry. Last week The Detail revealed that the family of Raychel Ferguson had called for police to investigate new whistleblower allegations that material may have been withheld from the inquiry and claims that a member of health service staff sought to dispose of “electronic equipment”. An internal probe by health authorities found no evidence to support the claims of any "deliberate attempt to remove evidence" or "attempt to destroy evidence or equipment contrary to the instruction regarding the need to preserve evidence". Click here to see all of The Detail’s hyponatraemia coverage to date. Speaking ahead of the inquiry report’s publication, Claire Roberts’ mother Jennifer said her family still had many questions they needed answered. She said: “Claire was the youngest of our three children, she was happy, healthy, she loved her family and her grandparents. When I look back on that morning that Claire died, it was like a nightmare. Alan Roberts said the inquiry needed to have a lasting legacy. Click here to see a separate analysis piece published by The Detail today ahead of the publication of the inquiry's report later this week.